When it comes to solids and prints, I usually choose solids because you can reuse it year after year. I am very picky when it comes to purchasing anything that has prints. Prints are fun, but they are usually easy to tell if you have worn it more than once. I am the kind of fashionista that doesn’t like wearing or being seen in an outfit more than twice a month lol. (I know I am weird). 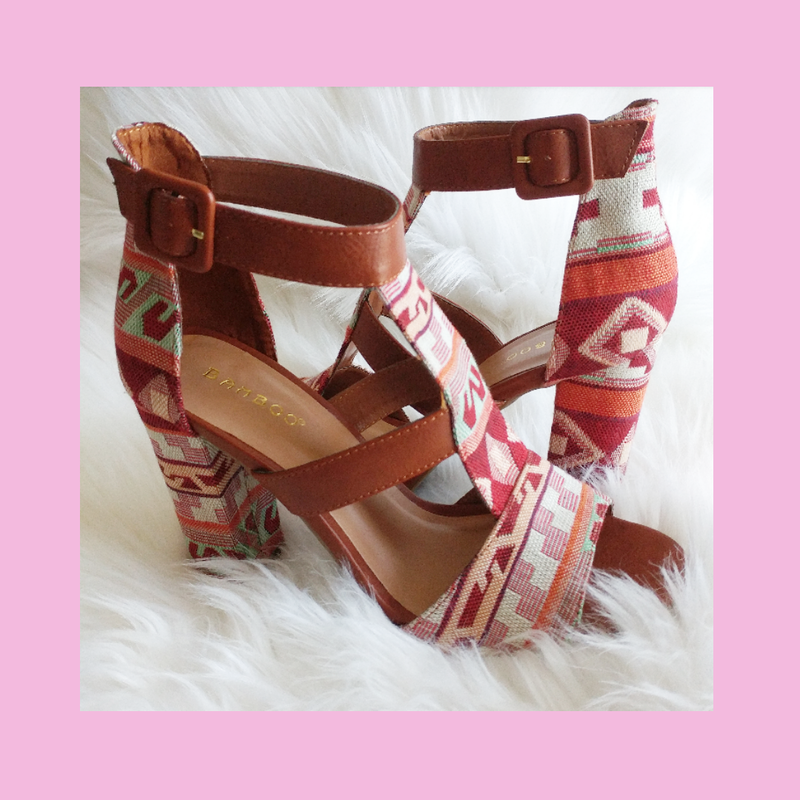 These Chunky Heel Sandals are from CiCi Hot and can also be found at My Shoe Bazar. It has the perfect blend of solid mixed with some prints. 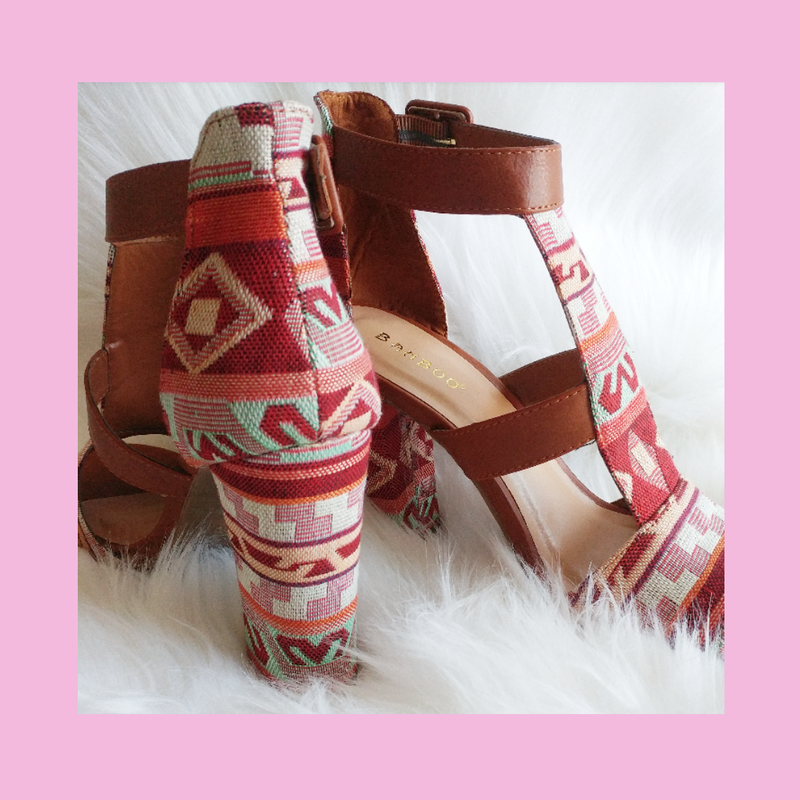 The Aztec print on these shoes is just enough to add spice to an ordinary look. I love being able to have a pop of color when I am in solids. For instance, I will try to add a pop of color or a fun print in my clutch or my shoes. In my opinion, it can change the look of an outfit and also makes it fun at the same time. These sandals are comfortable to walk in because of the chunky heel. I like choosing either a chunky heel or wedges when it comes to comfort. My feet have gone through their share of wearing stiletto heels all day and my comfort level has been going downwards with age lol. ( I am not as young as I look). 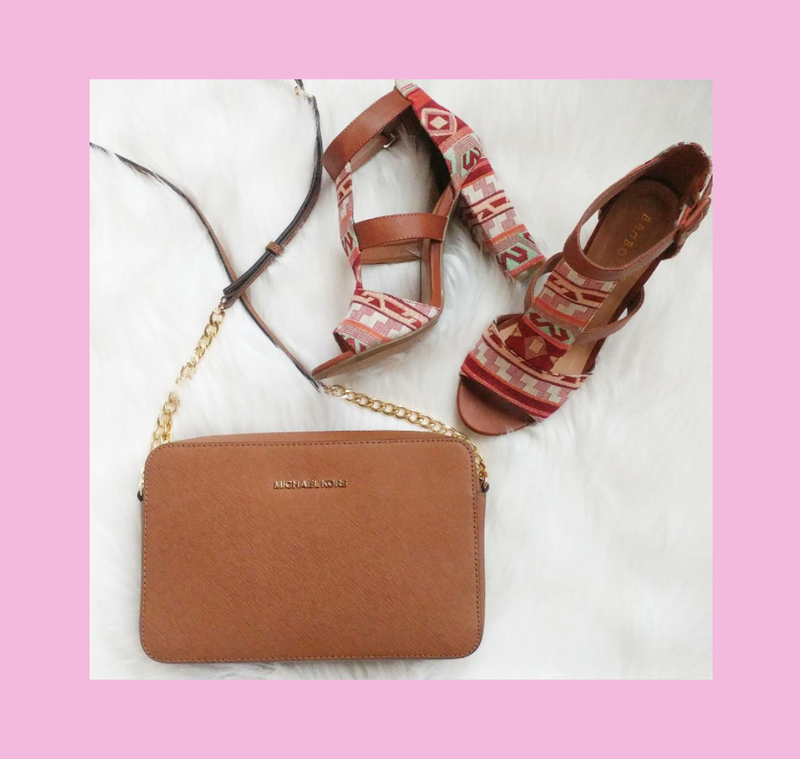 I decided to pair my sandals with my dark camel Michael Kors crossbody. It match well with the camel color straps on the shoes. You can wear this with denim jeans with a cute or casual burgundy or red top to bring the burgundy out from the Aztec print. Also, instead of pairing it with a camel color bag as I have, you can also add a burgundy or red clutch, and you are ready to go. Click this link —> CiCi Hot or My Shoe Bazar to get these shoes to add to your collection. It is currently on sale for only $22.99, so head over before the sale ends. Disclaimer: This post is sponsored by My Shoe Bazar. All photos belong to JJ LIFE & STYLE.